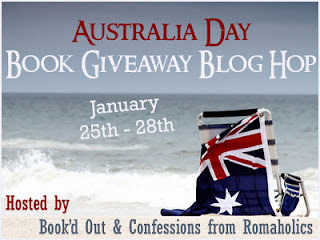 So, the deadline of midnight Thursday 7th February 2013 came and went and I still haven't heard from our winner Bec Brown, winner of the Carpe Librum Australia Day Book Giveaway Blog Hop. Joe had two entries because he left a comment and signed up to follow the site via Google Friend Connnect, so Congratulations Joe! Please email me with your postal address by midnight Monday 18th February 2013 to claim your prize, a copy of The Unfinished Journals of Elizabeth D by Australian author Nichole Bernier. Happy Reading and Carpe Librum! The Wild Girl from Kate Forsyth - Signed!